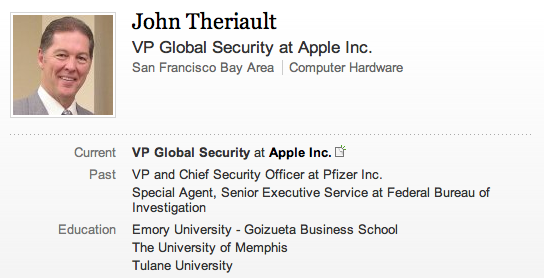 A sizable number of Apple senior executives have left the company this year, with the latest being Apple’s Vice President of Global Security. We’ve heard that John Theriault, the company’s head of security operations, has left the company following the controversial lost iPhone 4S investigation earlier this year. In July, an Apple employee was reported to have lost a prototype version of the later to be announced iPhone 4S with Siri, an improved camera, and the dual-core A5 processor. Following the loss of the prototype device, Apple apparently also visited the home of the device’s purported finder and offered him cash for the return of the phone. Apple security officials reportedly posed as police officers in their search of this prototype iPhone, and the San Francisco Police Department have been said to be investigating the situation. Apple is well-known in the industry for their unbridled approach to keeping their future plans secret. 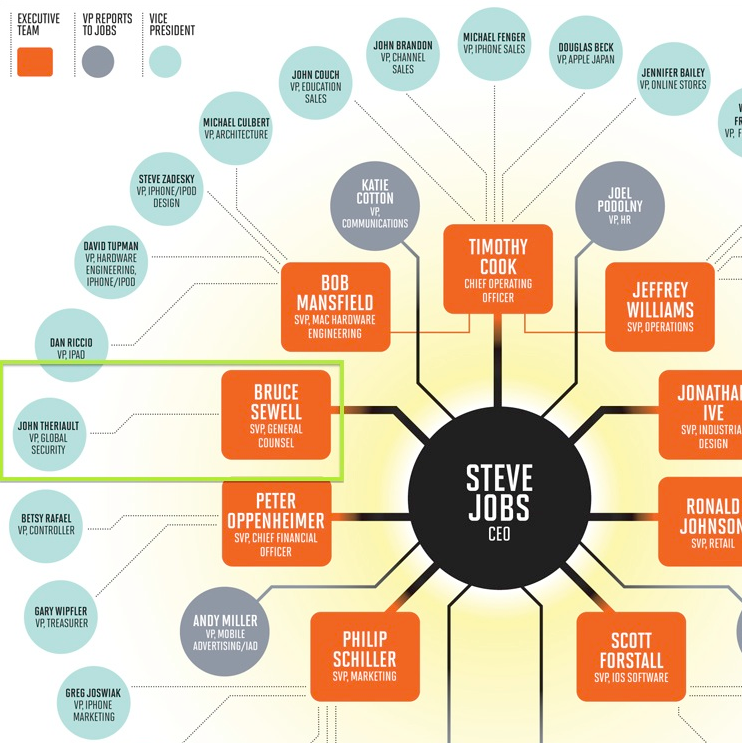 In 2009, Gizmodo profiled Apple’s internal “World Wide Loyalty Team” – the team that Theriault apparently runs based on his job title and positioning under Apple’s General Counsel. Theriault’s leave comes just days after Apple Senior Vice President of Retail Ron Johnson departed for the CEO job at J.C. Penney, and also follows the retirement of former Apple Senior Vice President of Mac OS X Bertrand Serlet, the leave of former Vice President of iAd Andy Miller, and the departure of lead Apple designer Sarah Brody to PayPal. Apple did not immediately respond to comment.